Good news! Wittenborg University of Applied Sciences is making more student housing available for its international students in the Netherlands after renovating a former office building in the heart of Apeldoorn and transforming it into spacious student accommodation. Student numbers at Wittenborg are set to rise to more than 700 in the next year – the university has locations in Apeldoorn, Amsterdam and Vienna, Austria. 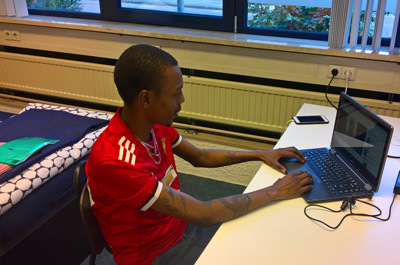 Unlike many institutions in the Netherlands, Wittenborg provides all its international students with accommodation for the first few months upon arrival to make sure they are not stranded. In the meantime, the first students have started to move into De Ruyterstraat building just before the new academic year. More are expected to move in by October this year. Wittenborg is renowned for its flexible starting dates – offering students 6 entrée dates per year to start their studies and to graduate. “International students arrive throughout the year,” Feng added.